Liang Shixiong, 86, is a representative older generation artist in the Guangdong painting circle. Born in Nanhai, Guangdong Province, he served as a professor and director of the department of traditional Chinese painting in Guangzhou Academy of Fine Arts, vice chairman of Lingnan Painting School Museum, and executive director of Guangdong Artists Association. Mr. Liang is good at Chinese landscape painting. His works, impartial, profound and majestic, have inherited the realism and grace of the Lingnan Painting School, while merged the bold and robust features of the Northern schools, making a great contribution to the exchange and development of the Lingnan art school, as well as the national fine arts cause. 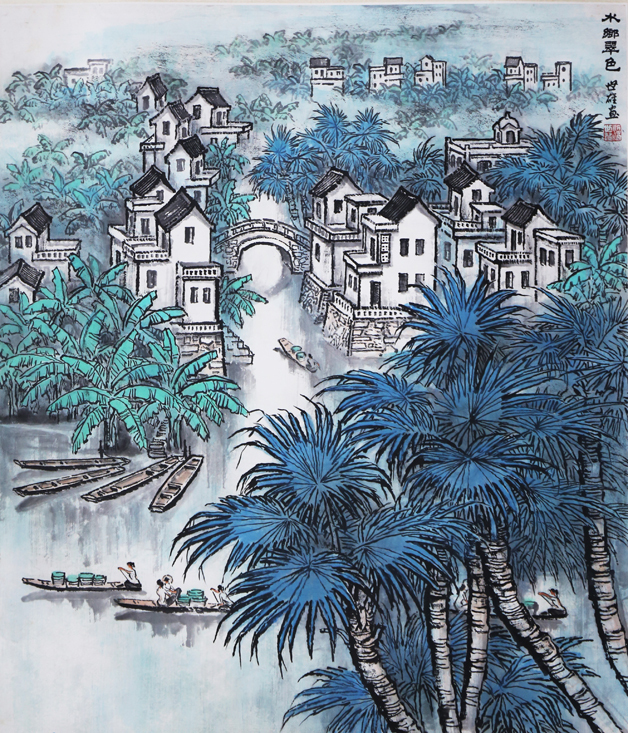 The representative works of various stages, such as Return from Fishing, Autumn Dawn in Coconut Forest, Spring Dawn of Pearl River, and the Spirit of Mount Ali, are on display this time to give a comprehensive and vivid presentation of Mr. Liang's artistic achievements, and a glimpse of the development process and artistic style of Guangdong fine arts circle.